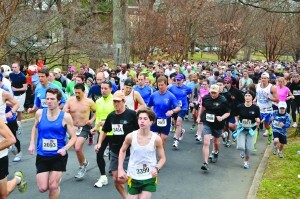 The Charlotte Get Your Rear in Gear 5K is in the news again in advance of their March 10 race. The Matthews-Mint Hill Weekly featured a story this week about local event director, Sue Falco, and Charlotte colon cancer survivor Jane Hutchko. The article by Josh Whitener highlighted the success of the first two years of the event, how the funds raised are used in the Charlotte-area, and the importance of colon cancer screening and education. Are you ready for the Super Cancer Fighting Bowl?